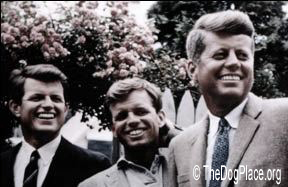 History shows Presidents prefer purebred dogs but Animal Rights will destroy us unless we choose our leaders wisely in the mid-term elections. 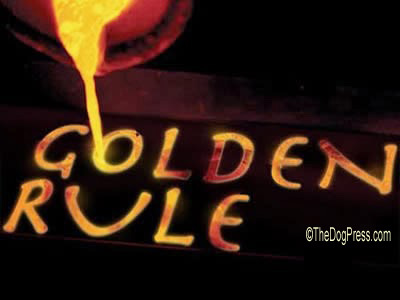 Fancy purebred or purpose-bred hunting, herding, protection, or stock dog, the future of dog ownership is dark unless we understand our past and can see where we’re headed. Not to be melodramatic (my daughter’s favorite word this week) but after WWII took nearly half a million American lives, U.S. Military weaponry became so advanced that fewer than 100,000 soldiers were killed in the Persian Gulf War. Ten times more were wounded so what I’m saying is that a lot of us gave lives and limbs to protect your political freedom. That includes your right to own the breed of your choice in whatever state you choose to live but I can see that ain’t happening. Today’s weapon is Legislation and ironically, it is the most deadly to our democracy. Me and my buddies are beginning to “get it” on this Animal Rights crap. We fought for freedom from oppression by other governments only to confront it right here at home. A look at Presidential pets reveals a lot! I get that we’re a long way from Abraham Lincoln and George Washington and most of today’s politicians are a little fuzzy on the Constitution but I know a little something about military leaders. You’ve probably seen it before but this Life Magazine photo of Willie… waiting to be shipped home with General George Patton’s belongings, says something about bravery. Like most in her generation, my kid didn’t know Willie’s story or that the General and his dog are military legends. I reckon it is among the greatest examples of the human-canine bond ever recorded. 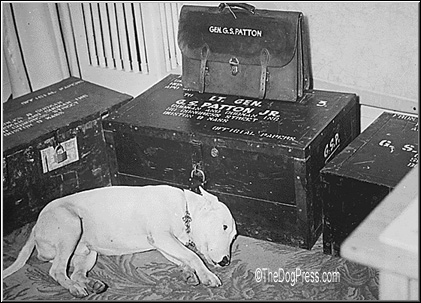 Gun-shy Willie, always at Patton’s side, was like a magnifying glass for his master’s courage and determination. I don’t know that much about dogs and next to nothing about Bull Terriers but somebody ought to do that story! Since this is about politics, I’ll risk mentioning that the current Commander In Chief has forced our top field Generals to retire. Makes me wonder if Patton would have accepted that? Using google to validate my memory I had to smile when I found two of the best articles in TheDogPlace.org. They had a whole section on politics that I found pretty enlightening. They even covered Governor Romney tying his dog on top of the car when the family went on vacation. I reckon dogs have endured worse to be near the people they love. Mrs. Romney is an accomplished horsewoman and the whole family loves animals but it was a dumb move politically speaking and needless to say, he didn’t win the White House. Here’s one on White House Pets and there are other links in it. 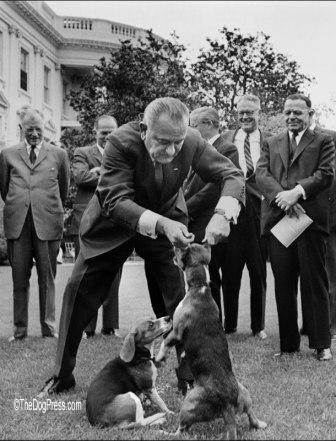 You might remember the scandal about President Lyndon Johnson pulling his beagles’ ears. My daughter said it sounds like something a non-dog person would do trying to make it look like he had some special understanding of dogs. We all have our favorite breed, dog story, and war story. One of the best articles I found was Dogs In The Civil War by Fred Lanting. 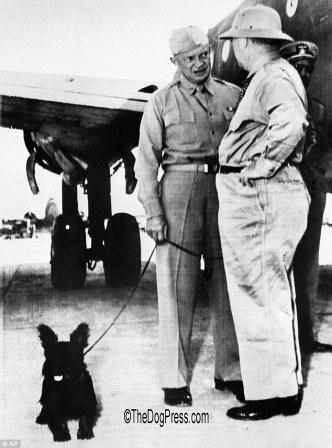 I had some personal knowledge of some of our leaders but until I retired, I had no reason to connect politics with a man’s taste in dogs. If you find it curious too, go to the Politics Section and learn so that you can spot the political agenda in 2016. We used to joke that you could tell a lot about a man’s character by what he drinks. I’ve learned that a man's choice of a “best friend” says much more. In these troubled times, we want a man with backbone, the courage to lead and the respect of the troops. My daughter read this and pointed out I should have said “man or woman” to lead the country. I pulled rank on her. It stays as written. Learn about your Presidential candidates' pet-positions. What does not having a dog reveal about his personality?